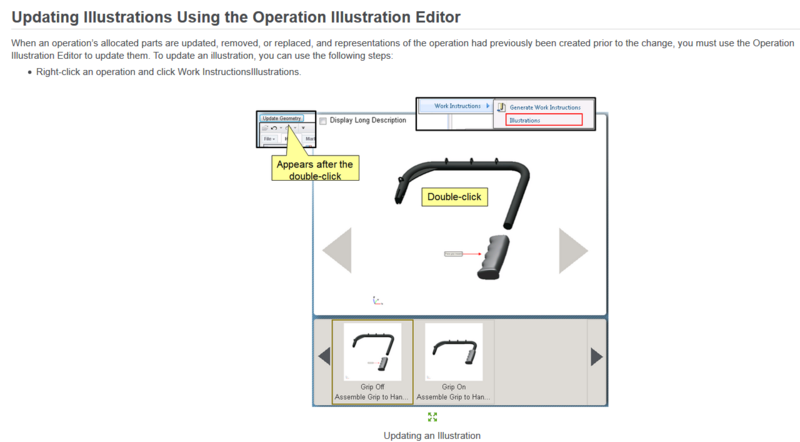 MPM Process Plan - Updating Illustrations using the operation illustration Editor. Can anyone explain what the Update Geometry button does and why it's there (other than to remove all visualization work when accidentally clicked by user). Lost about 20 annotations this morning - MFG dept is less than pleased. I opened a case with PTC and was told there is limited info on this subject and to file an enhancement request for improved documentation. WOW.